On 17 October 2018, let’s mark the 10th anniversary of the Dublin End Poverty Stone! 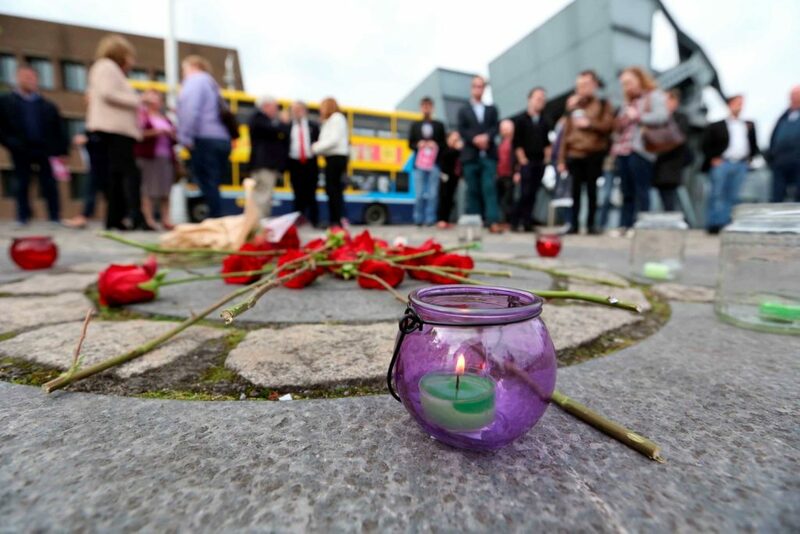 To mark the 10th anniversary of the unveiling of the Human Rights and Poverty Stone on Cutsom House Quay (Dublin 1), All Together in Dignity Ireland (ATD) and the Irish 17 October Committee have been facilitating since 20th February 2018 a series of workshops in the North East Inner City of Dublin. This workshops are entitled “Your Rights Are Written In Stone”. Participants are talking about human rights and poverty and discover ATD’s exhibition illustrating the history and international context of the Dublin Human Rights and Poverty Stone. 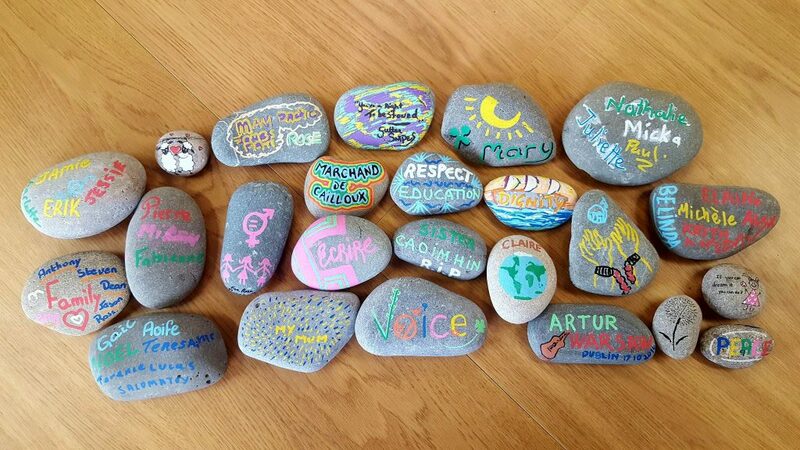 Participants are also invited to write, draw or paint a word, name or image you associate with basic human rights and poverty on a small stone which will be included in a very special exhibition on next End Poverty Day, 17 October 2018. Discover here the banners from the exhibition! Download the exhibition booklet here! Like the project Facebook page here! Contact ATD if you would like to welcome a workshop before 17 October 2018 or just run one on your own! This project is supported by the Dublin City Council and the Department of the Taoiseach via the North East Inner City Programme!